War Horse DVD Review. War Horse is a very emotional, albeit clichéd story. Director Steven Spielberg knows how to make a blockbuster and more importantly he knows the right boxes to tick in order to pull on your emotional heartstrings. 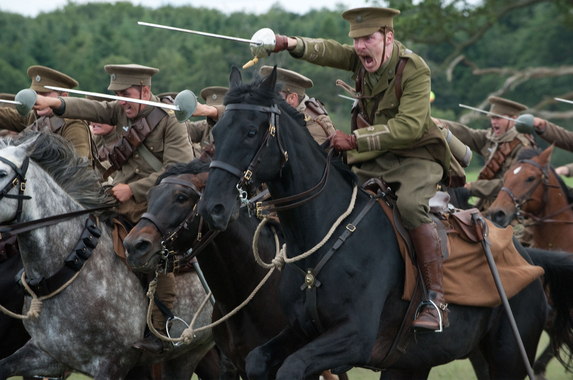 The film War Horse is no exception. The story itself is based on the novel by Michael Morpurgo which also created the Award-winning Broadway play. 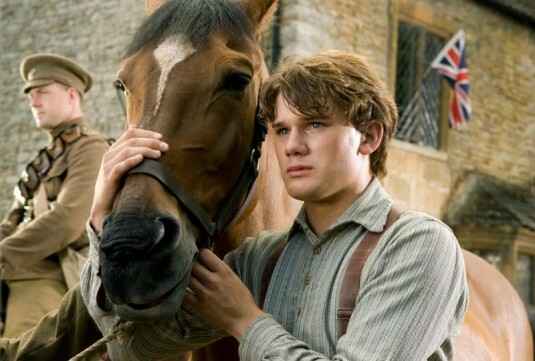 This film fleshes out the original novel and the play that revolves around the bond between a horse called Joey and his trainer Albert (Jeremy Irvine) who not only helped raised the horse but considers him a loyal friend. Needless to say, the story is about a powerful friendship and the obstacles that these two beings must overcome with the backdrop of World War I. Unfortunately for Albert, his parents (Emily Watson and Peter Mullan) are having difficulty in keeping the farm where Joey works as a plough horse. Once Joey is sold, this then leads Albert on a soul-searching and dangerous journey as he follows the path of Joey between British and German armies. Although the story is not the most original tale to land on DVD, the rich visuals used by Spielberg and co. create some truly spectacular scenes. At times, War Horse is a violent film with the environment of World War I and once again the cinematography used by Spielberg creates some very suspenseful moments. The video quality on DVD is thoroughly impressive with sharp images and very earthy colours that almost create this period piece. Add in the majestic music of John Williams who has worked with Spielberg before and War Horse is a very emotional, albeit clichéd story.